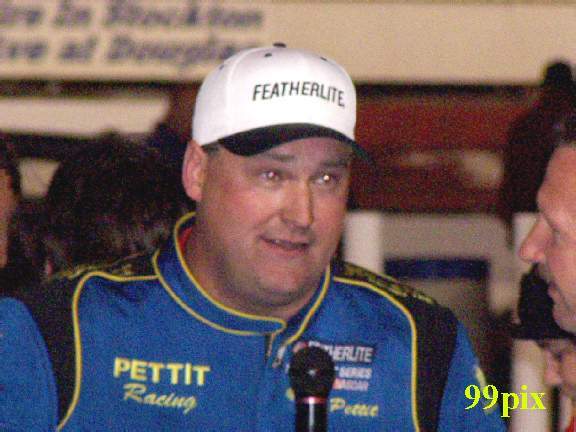 Maybe a taste of the past is just what Jim Pettit II needed to pick up his first ever Featherlite Southwest Tour victory. 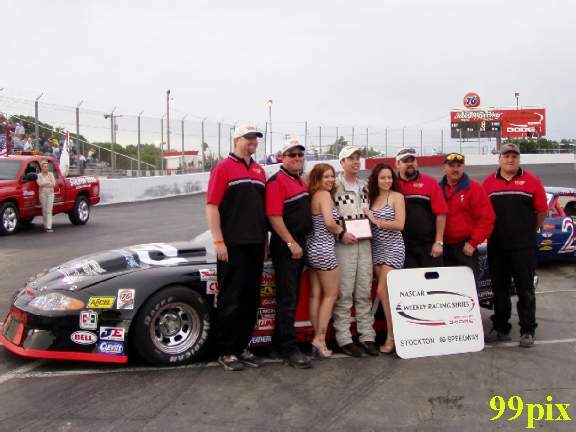 Pettit, starting in 10th position, led the final 33 laps of the 125-lap championship race at Stockton 99 Speedway, en route to capturing the "BUDWEISER 125" presented by HAVOLINE title last Saturday night in front of a packed house. 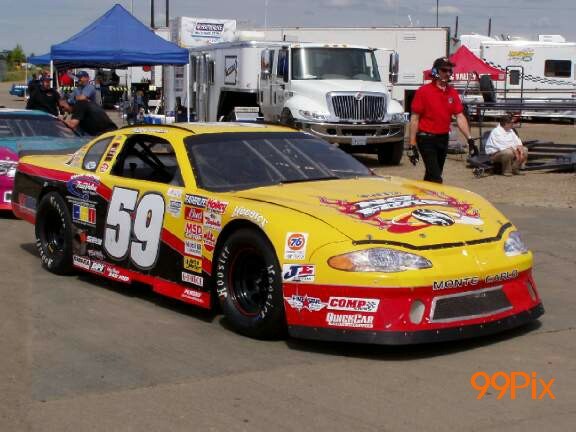 In 46 career series races, #03, Pettit’s previous best finish was fourth at Colorado in 1998. 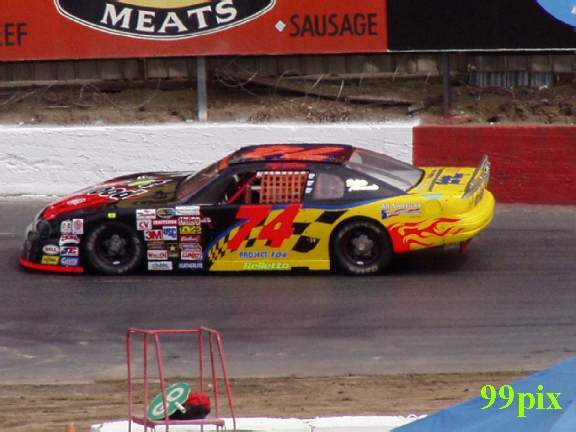 But returning to Stockton where he last won in 2001 in the Late Model division, Pettit regained the old magic for his ninth top five finish on Tour. 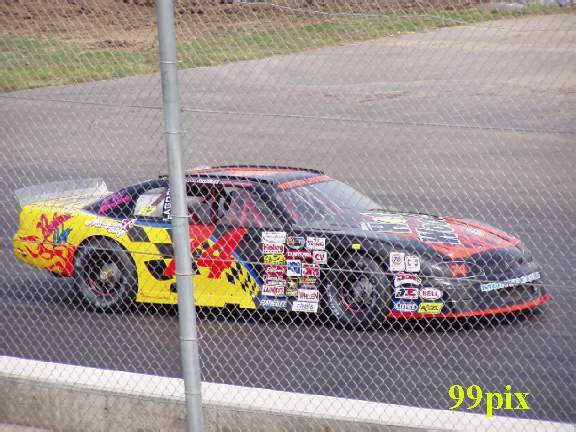 The Prunedale native finished ahead of pole sitter, #6, Todd Souza who led the first 92 laps before Pettit slid down the inside on turn-4 to forge ahead for the only lead change of the race. Souza, 2000 Rookie of the Year, recorded his third top five finish in his Tour career. 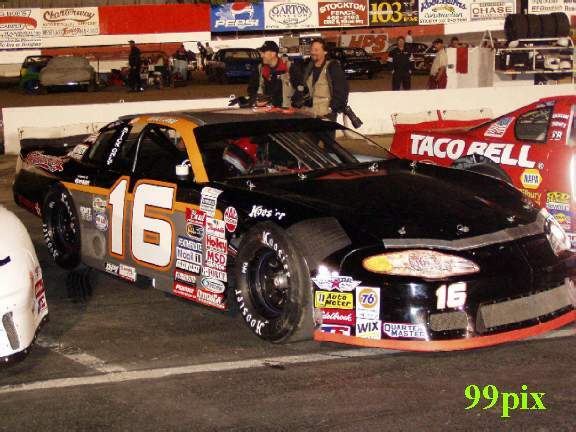 Former Sacramento resident Burney Lamar, #16, who placed second at Stockton in 2002, finished third ahead of Auggie Vidovich Jr.
Escalon’s Eric Holmes rounded out the top five, finishing in front of Riverside’s David Gilliland and Modesto’s Steve Belleto. Defending series champion Eddy McKean, #19, of Idaho garnered a top 10 spot, placing ninth in the 20th Southwest Tour visit to Stockton. 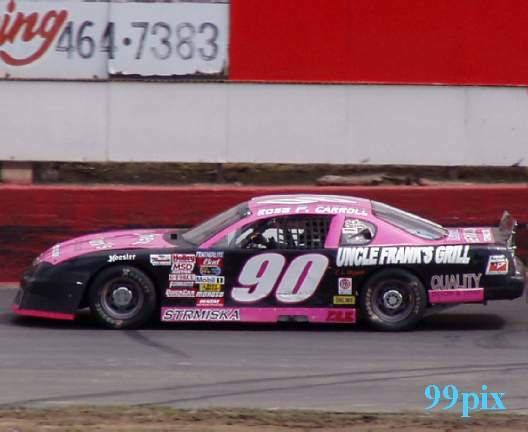 Last year’s Stockton 99 Speedway Tour winner, Ron Strmiska Jr., finished 12th out of the 22-car field. For the second consecutive week, veteran Harry Belletto, #74, of Modesto captured the Western Late Model 30-lap main event. 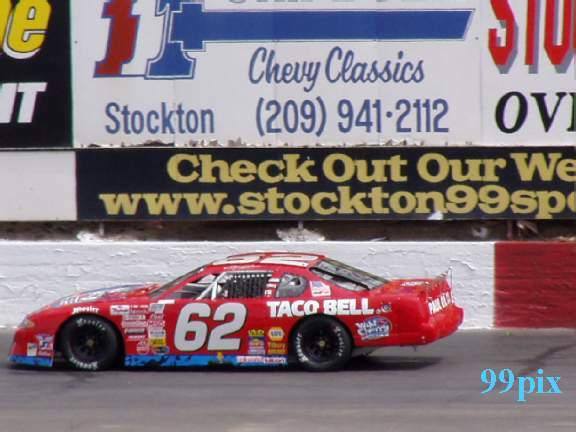 Belletto, who only led the final two laps the previous week, dominated the race after slipping to the inside on turn-2 and jostling for track position with Stockton’s Danny Contessotto on the sixth lap. 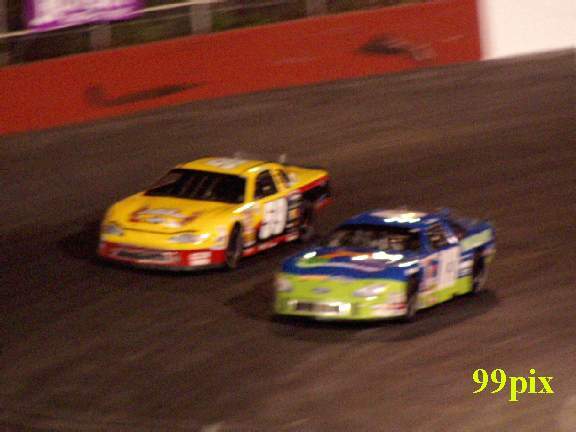 Belletto led 25 of the 30 laps during the caution-free race. Roseville’s Eric Schmidt, #05, who won the trophy dash earlier in the evening, finished third just behind Pacific Grove’s Dave Byrd and Pete Anderson Jr. of Stockton placed fourth. Stockton’s Gary Shafer Jr., #96, made it back-to-back victories in the Pure Stock division, dominating the 20-lap main event. 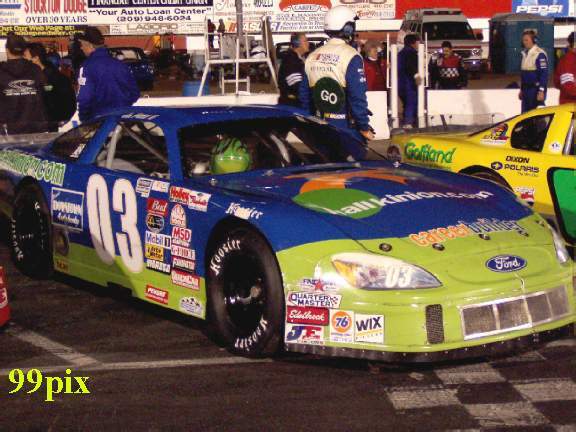 Shafer Jr. led the final 16 laps and collected the checkered flag under caution for his 15th career win. Lodi’s Michael Wendt finished 12th, despite the fastest qualifying time and placing second in the dash, that #21 Tom Bolin of Valley Springs won. Wendt broke the track record last week after Chad Holman and John Medina accomplished similar feats earlier in qualifying. Holman and Medina finished second and third, respectively, this past week. 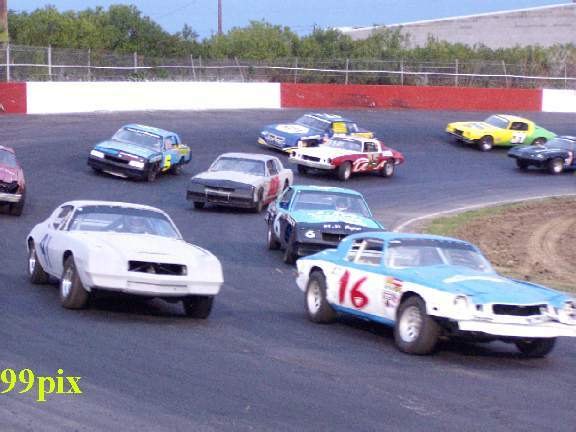 Stockton 99 Speedway will be closed this Saturday and will return May 10 with Western Late Models, Grand American Modifieds, Pure Stocks, Pro 4 Trucks and Legends. 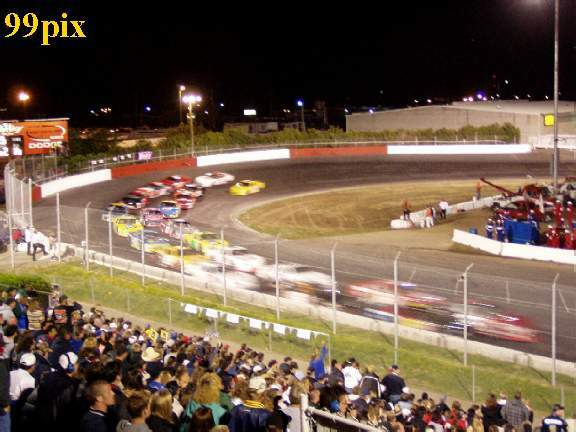 The following week "HAVOLINE presents The DWayne Starr Classic" for the UNITED STATES AUTO CLUB (USAC) Western States Championship Sprint car race featuring the top pavement sprint car drivers in western America plus the Ford Focus Midgets on May 17. 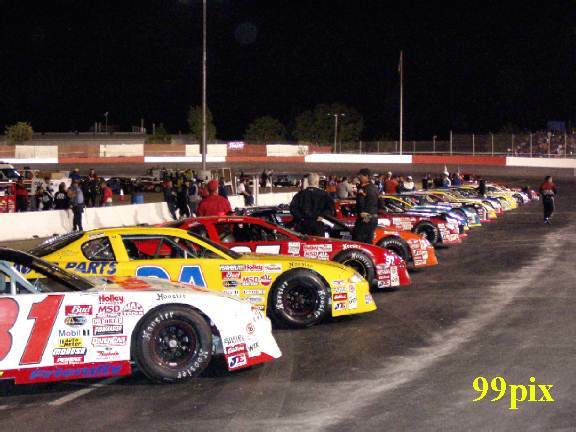 Returning will be the NASCAR Western Late Models for a full night of racing and three big main events. 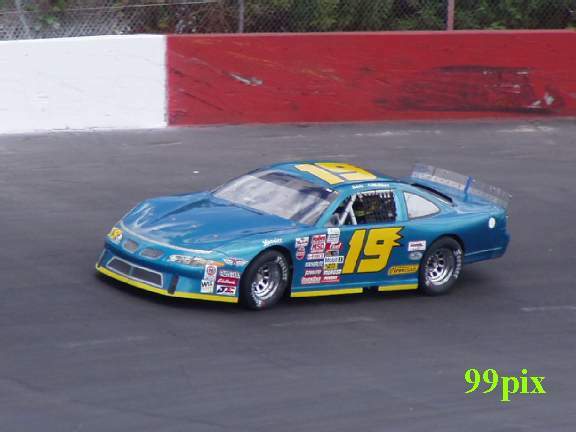 It was a first for Jim Pettit II in car 03. 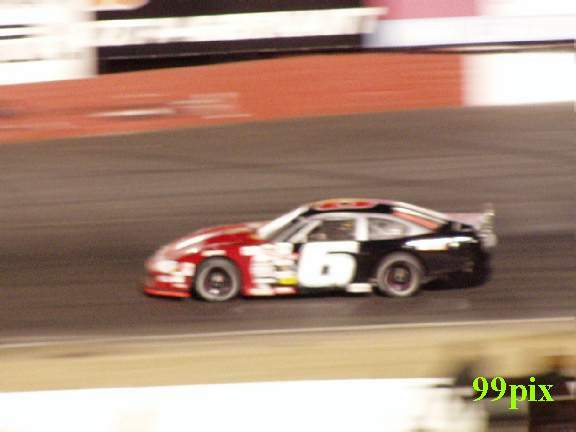 Pettit, of Prunedale, took the lead from Todd Souza, #6, of Aromas on lap 93 and went on to win the Budweiser 125 on Saturday night at Stockton 99 Speedway for his first NASCAR Southwest Series victory. "We've been real close a lot of times," a jubilant Pettit said. "We've been real flustered because we've been so close." No more close misses. 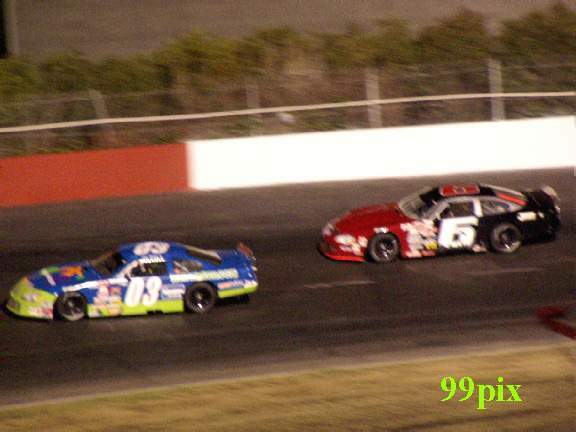 Starting in the fifth row in the 22-car field, Pettit passed Burney Lamar of West Sacramento for second on lap 83, then jumped on the opportunity to blow by Souza on the first lap following a restart on lap 93. "I didn't want to sit around," said Pettit, who went into the race sixth in points. "We were good from the beginning. I knew we had a really good car for these conditions." 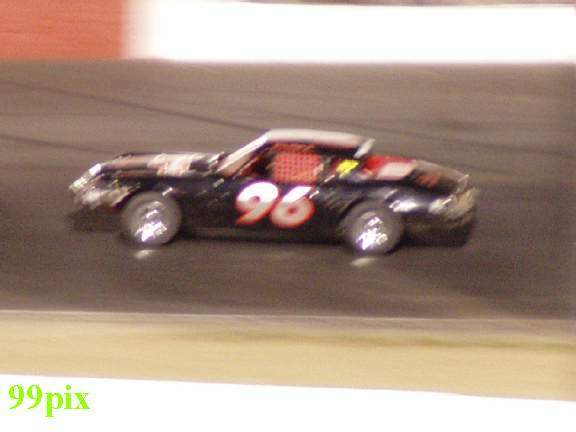 Souza, #6, led 92 laps on a cool, breezy night before a crowd of 3,002 and held off Lamar for second. A problem of some sort held back Lamar. "If it wasn't for that, we'd have been up front. 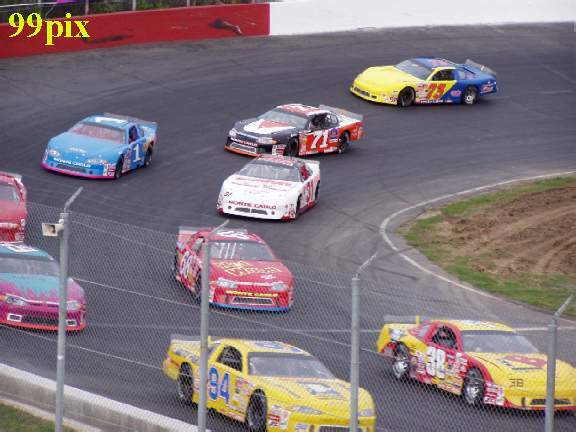 It sort of burned up our tires a little bit," said Lamar who, like Pettit, has considerably more experience at 99 than most of the Southwest Series drivers. "We gave it all it had. I wish we could have been up two more spots, but I'm happy for Jim." 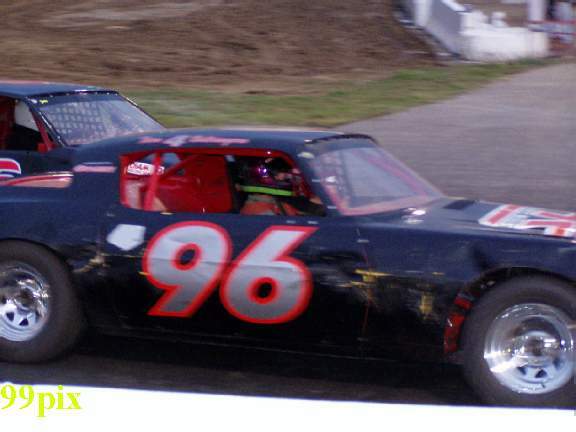 Points leader Auggie Vidovich Jr., #59 of Lakeside finished fourth, and Eddy McKean of Jerome, Idaho, who went into the event second in points, finished ninth. Eric Holmes, #62, of Escalon, who went into the race fourth in points, finished fifth. 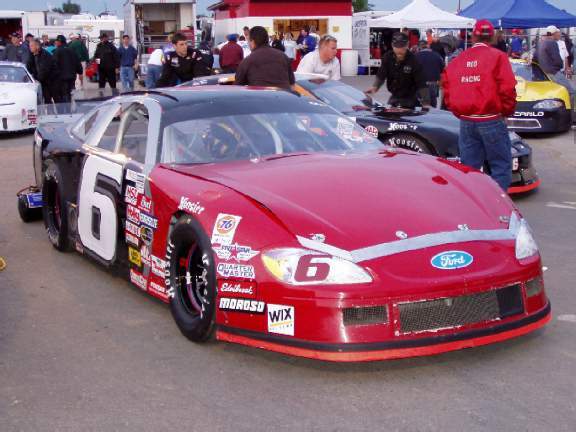 Steve Belletto of Modesto, who's in the top 10 in points for the first time (in ninth), had the seventh-fastest qualifying time and finished seventh in the race. Defending race winner Ron Strmiska Jr., #90, of Manteca finished 12th. 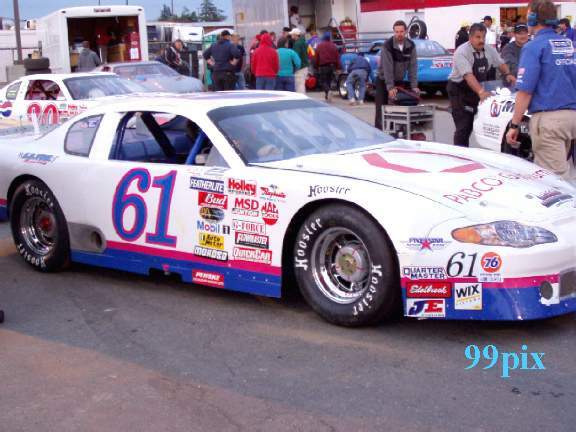 Mike Ledbetter, #61, of Ceres recorded the fast time in qualifying, 13.663 seconds around the quarter-mile paved oval, but fell to 17th after locking up with Greg Potts of Morada on lap 63. It was the first yellow flag of the race. Potts finished second to Darrell LaMoure of Phoenix, Ariz., in the qualifying race, and both transferred to the main. It took about eight minutes for Harry Belletto, #74, of Modesto to record his 80th career main-event victory. Belletto took the lead from Danny Contessotto of Stockton on the sixth lap and led the final 24 laps in a feature that had no yellow flag. "We're still trying to get better," Belletto said. Dave Byrd of Los Gatos passed Contessotto on the seventh lap and followed Belletto across the finish line. Eric Schmidt of Roseville qualified second, won the trophy dash and finished third in the main. Grand American Modified driver Jay Linstroth of Citrus Heights made his Late Model debut in a car owned by Al Vautier of Ripon and finished 10th in the 15-car field. Gary Shafer Jr. of Stockton took the lead from John Medina of Galt on the fourth lap and pulled away to his second consecutive feature win and the 15th of his career. Shafer finished about four seconds ahead of Chad Holman of Stockton. Medina was third. 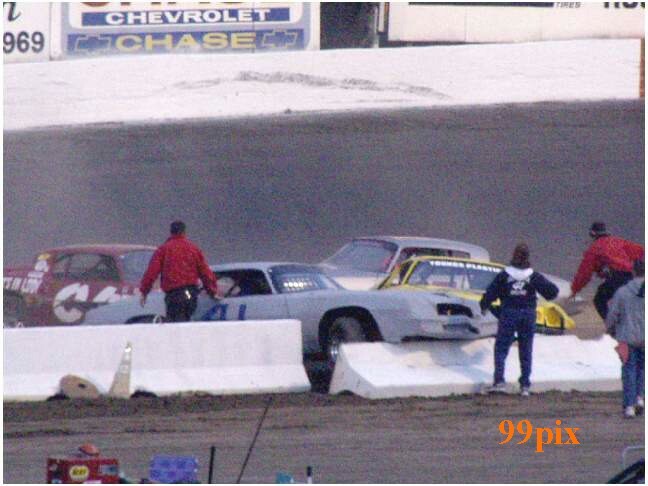 The race went to a red flag for about 20 minutes because of a four-car pileup on the second lap that ended with the car of Lodi's Ron Greenmyer helping knock over the retaining wall coming out of turn two.